Ice from the West Antarctic Ice Sheet flows to the sea through a series of ice streams; the factors controlling the flow of the ice streams are not well understood. Recent observations give a brief glimpse of the surprisingly sensitive reaction of the ice streams to tidal oscillations. Measuring the response of the ice streams to the rise and fall of the tide is an excellent natural "experiment" to improve understanding of controls on the ice streams, and improve the ability to model the WAIS. 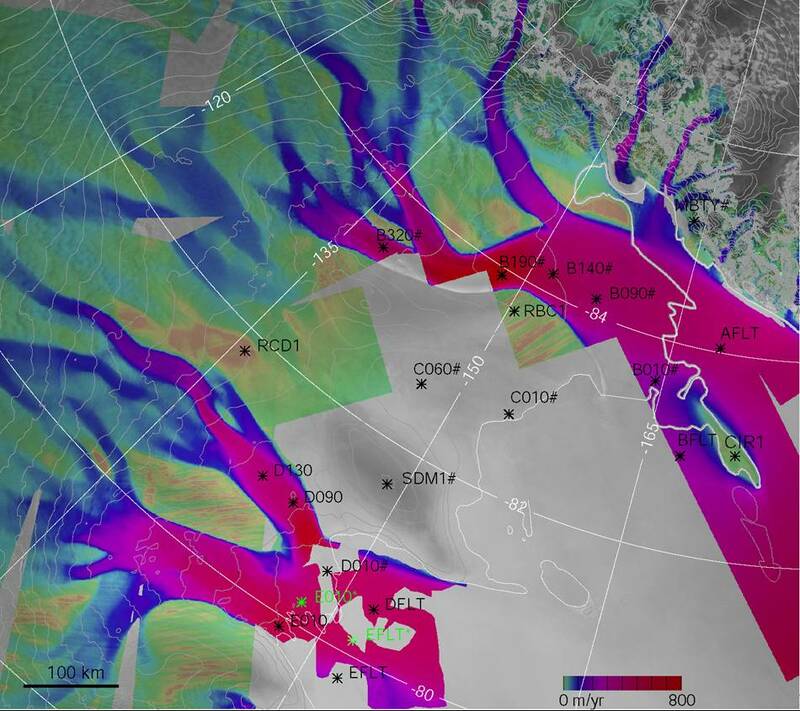 21 GPS receivers were deployed in arrays on ice streams E, D, C and the Whillans Ice Stream (B), and at fixed base stations to record vertical and horizontal components of ice stream motion and to correlate these motions to ocean tides in the Ross Sea over two tidal cycles. Passive seismic sensors were also deployed in conjunction with the GPS units. Figure shows TIDE project GPS site locations.